January has slowly come to an end. Winter seems to drag for me. I use to get out and snowboard a bunch which made it more bearable, but the last few winters I’ve slacked on getting out in the great outdoors, and really there has been no excuse for it this year, we’ve had such an incredibly (long over-due!) mild winter, full of sunshine and weather in the 50s, which is warm for us this time of year! The truth is, The sun has it’s same nasty UV effects on us whether it’s warm outside or below freezing! Wear those shades, protect those eyes, and ward off the wrinkles while you’re at it – no matter what time of year it is! I love my clubmaster round frame Wood Sunglasses from Woodies (one of my very favorite sunglasses brands – and my boyfriend’s too!) to help protect my eyes for all seasons! These chic lenses and frames look good no matter what I’m doing! In fact, I did finally get outside and wear these fantastic, super comfortable shades while getting in some ice skating with my Boyfriend and his little girl this last weekend! It’s been a very busy last few weeks for me as I’ve been packing up my household, getting ready to move. Ugh, no one hates moving more than I do! I’ve done it so many times in my life that on average I realized I don’t stay in any one place for longer than a year. I have no idea what that is, because I’m all about security and stability, and I am one of those people that can sometimes really struggle with change. None the less, this move is a good thing (it will bring me closer to downtown Salt Lake City – Yay nightlife!) and I’m making the big step to move in with my boyfriend and am excited to see the one and half-hour long distance relationship be a thing of the past! If anything from all this moving, I’ve gotten a system down! (See my post here on tips for a successful move). And I’ve learned the hard way about things we often forget and end up packing, and then cussing at ourselves when we realize we need it the day of the move. You know, those unfortunate things like clean underwear, your toothbrush, your cereal breakfast bowls, and the correct shoes for moving. I’ve forgotten and instead packed up all of these things at one point or another. The one thing I haven’t forgotten and always remember to leave out with my purse and keys for the move, my sunnies! They come in handy for all that in and out of the house, but most importantly, for driving your car or that big ol’ Uhaul! I think driving one of those things is scary enough and that’s when I CAN see without all that sun and glare! I get a little too blinded by the sun without my sunglasses, so I don’t even want to think about what driving one of those things without my trusted Walnut Woodies would even be like! 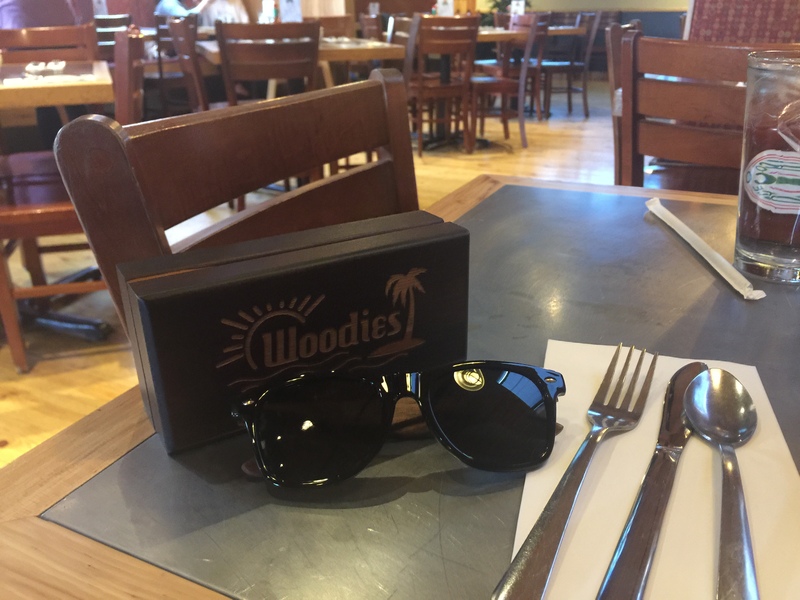 Lately, I’ve been writing a lot about Woodies sunglasses and how awesome they are! I recently got to try out a great pair of handmade walnut shades! Like the rest of my Woodies sunglasses, these walnut sunnies have been nothing short of amazing! They always look great, feel super comfortable to wear, and stay in place perfectly all day long! I never have to worry about them coming loose and sliding down my nose either, which would be about the most annoying thing ever while picking up a lot of boxes and furniture and moving it in and out of the house! These Wood Sunglasses are great quality, especially for the price! They are very well-made too and are strong and durable, and they keep their shape after lots of wears too! I’ve given a few pair to my boyfriend who can be very hard on stuff, especially sunglasses (I’ve seen him go through many a pair in the year we’ve been together) but even HE has been unable to destroy my Woodies! Thank Goodness! I love that this pair comes with a gorgeous wood box too, which I’ll use to safely protect some other goodies in the move too. And like with all Woodies Sunglasses, you get a microfiber cleaning cloth, soft storing case, wood guitar pick, and other goodies with each purchase! The ultra-lightweight walnut wood Sunnies also have polarized lenses, which is awesome and a total must-have for participating in any outdoor activities. I actually wore these last weekend up in the Utah Mountains, where it wasn’t just snowing (and sticking), it was an out-right blizzard! 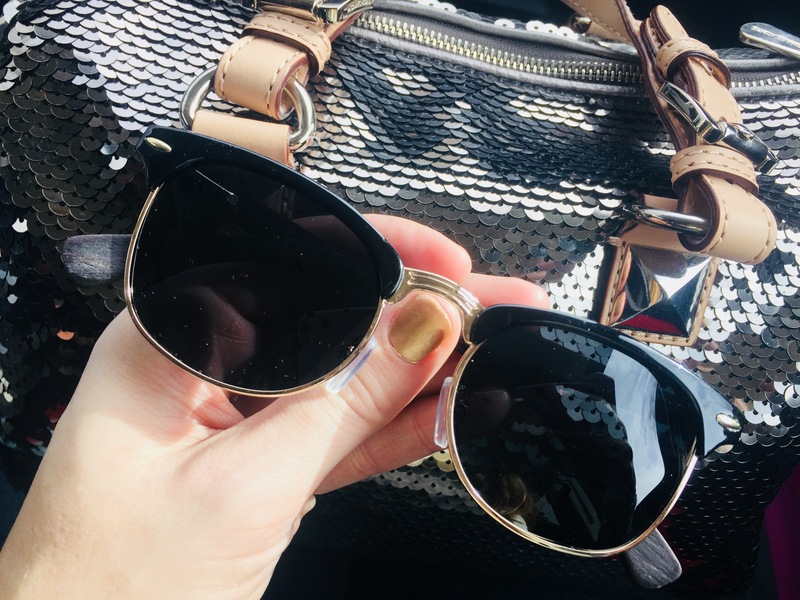 These dark lenses allowed me to see perfectly and continue driving my little car safely without any glare or blinding-reflective issues, thanks to these fabulous sunnies being anti-reflective as well! When it’s not snowing, I’m glad to know these sunglasses provide both 100% UVA and UVB protection too! Each chic wayfarer style is handmade, made from 100% walnut wood, and totally unique, with its own wood striations! I like to think of Fall as the “Grown Up” Season, at least when it comes to fashion. The bright colorful summer accessories and clothing are slowly being put away until next year, and the darker colors, layers, jeans, and boots are making their way back into the wardrobe rotation. While many of us start thinking about the warmer clothes as we hit the stores for some back to school shopping and see the racks lined with pants, long sleeve tee’s and blouses, sweaters, and cardigans, we often completely forget about the accessories. I like to put away my playful summery bags for more sophisticated styles, as well as of course retire the flip flops, wedges, and espadrilles in favor of wedge boots, platforms, sneakers, shiny neutral flats, and gorgeous black heels. I also trade in some necklaces in favor of a light airy scarf. The one thing I haven’t put much thought into in the past? My sunnies! Sunglasses should no doubt be worn year round, even in the winter, to help protect eyes and ward off those wrinkles so don’t go tossing your summer sunnies into the back of the closet just yet! However, an update on the sunnies might be a great way to usher in the cooler weather. If you want your warm cozy, often times – more neutral fall wardrobe to be cohesive with your fall accessories, now is a great time to look for a more sophisticated, yet simple, polished frame. I like to put the mirrored frames, and big oversized sunglasses away for the time being, and go with a more relaxed, classic style for Fall. 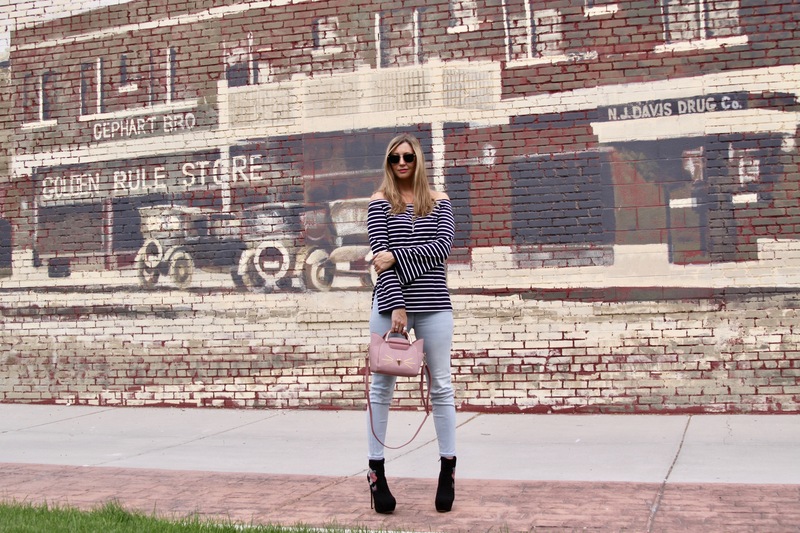 For my more classic Fall look here, I paired a chic super soft black and white off-the-shoulder striped long sleeve top with some of my favorite pair of light washed skinny jeans, added some 6-inch platform boots and some trendy round dark lens Woodies Sunglasses. All Woodies sunnies are polarized and made of real lightweight wood so they are super comfortable to wear all day long! Each frame comes with a hard case, soft case, and cleaning cloth too, so you’re glasses stay safe when you’re out enjoying fall activities, and you can easily keep them clean while on the go too! Oh, and in case you’re worried about those poor trees when you buy these real wood sunglasses, Woodies plants 3 trees for every pair of sunglasses sold! I love these glasses in particular because they easily carry me from summer to fall, thanks to it’s classic (and currently on-trend round frame) and its cool wood arms (made of real lightweight zebra wood) – which totally says summer, but still keeps my look fall-ready too, thanks to the black trim top of the lenses, and pretty gold frame detail found along the bottom of the lenses.